The original Iowa flag is shown in this painting. 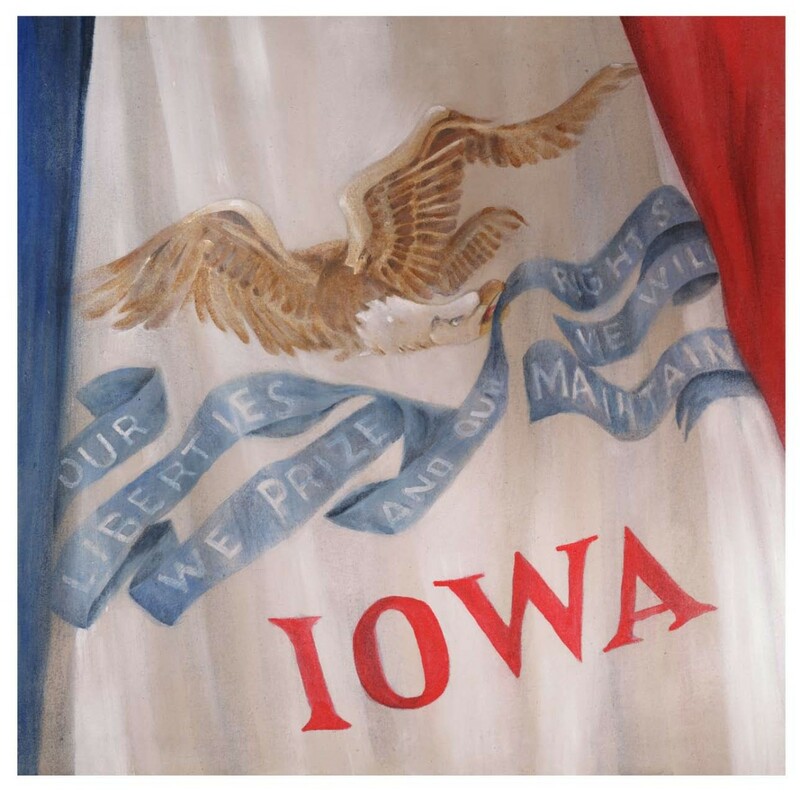 On May 11, 1917, like many State flags, the Iowa flag began life as a regimental banner for State National Guardsman. Iowa was never in a hurry to adopt a state flag as Iowans felt, after the Civil war, that the stars and stripes appropriately represented all of the United States. And so it was not until 1921, almost seventy-five years after the admission of Iowa into the Union, that a state flag was finally adopted by the Legislature. This 22" x 22" archival quality Giclee print is signed and ready to frame.